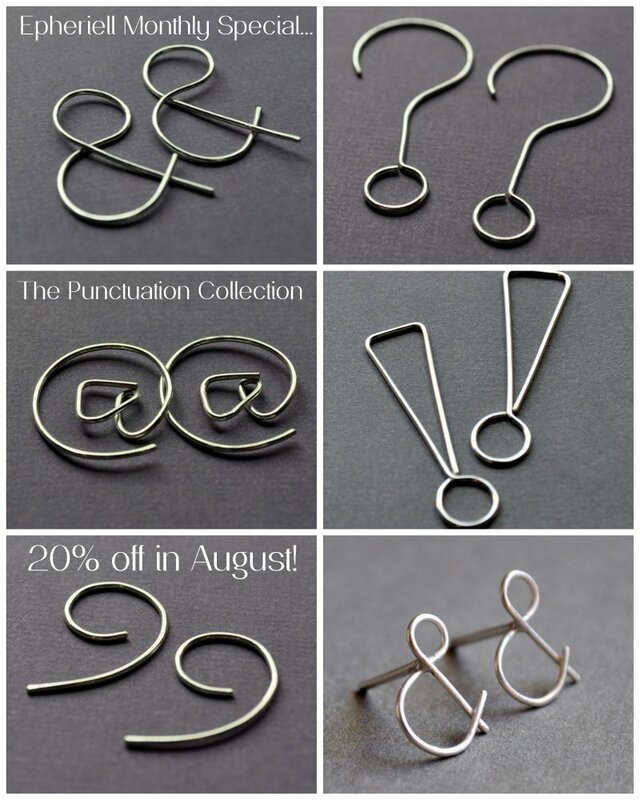 August Epheriell Special – Punctuation Collection 20% off! Since I’ve only just re-opened shop, I’m a little late getting the Monthly Special out to you, but here it is. I’ve put the entire Punctuation Collection on sale – 20% off! No need for a code or anything like that – the prices are already reduced for you. So if you’ve been hankering after some word-nerd goodness, now’s your chance. Perfect for teachers, writers, editors, obsessive tweeters, bloggers… and designers in love with the ampersand (like me).